Truly heartwarming and packing a big (big!) 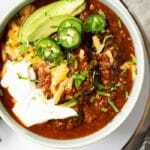 flavor punch, this paleo and keto chili is bound to have you swooning! There are numerous (endless?!) ways to tackle chili, starting with the meat. Be it chicken or beef, ground or Texas-style chunks. Hey, you can even make it vegan with just veggies! And, of course, the spices used (and amounts) vary widely to taste. Real chili purists will advocate for a chili with little tomato and no beans. 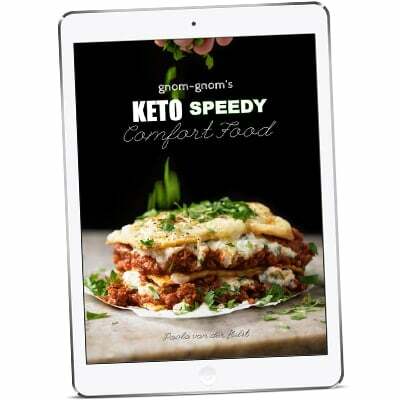 As in… naturally keto! And this recipe is a mix of just that. A traditional chili recipe sans beans, mixed with a friend’s sweet grandma’s recipe (a real crowd pleaser). 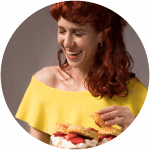 The story goes that no one has ever left the table without going for seconds on this one, and I can definitely attest to that! Her trick is to lightly caramelize the onions before adding in the beef for a big flavor boost, allowing each ingredient to cook fully before adding in the next. Plus! Her additions of a touch of beer and coffee truly are marvelous. Enjoy! 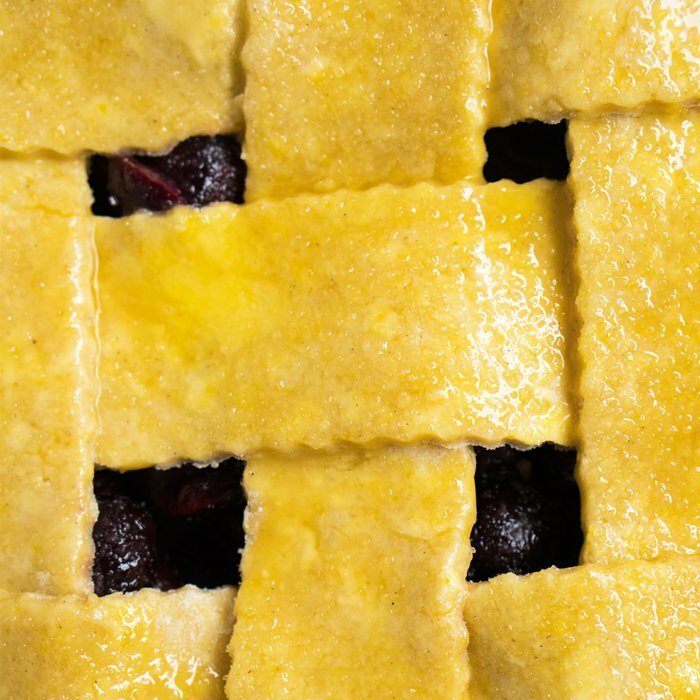 You ought to be browning each ingredient fully before you add in the next one. It might seem excessive even, but every great slow cooking meat dish has this in common. Be it American chili, Italian ragù, Mexican mole or French bourguignon. So repeat after me: browning is truly essential. Seconded only by the longest possible cooking time. I think 3 hours is good enough if you’re in a pickle, but if you can stretch it to 5 or 6 (or even 8!) you’re golden. Just keep adding 1/4 cup stock or water as needed. Chili spices can vary a lot in taste (and preference!). Buying a ready-made chili powder mix is a good place to start. But do feel free to play around with the individual spices to your liking (think chili, oregano, cumin, coriander, paprika, chipotle… you could even add some chili ancho!). 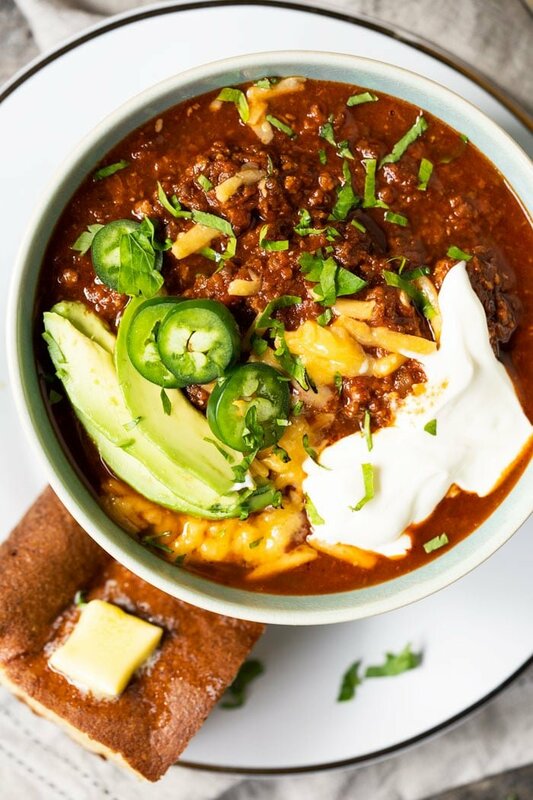 Make your chili the day before. Second-day chili is always best, so go ahead and make it the day before. Or at the very least make a double batch, because you seriously will want to try second-day chili. 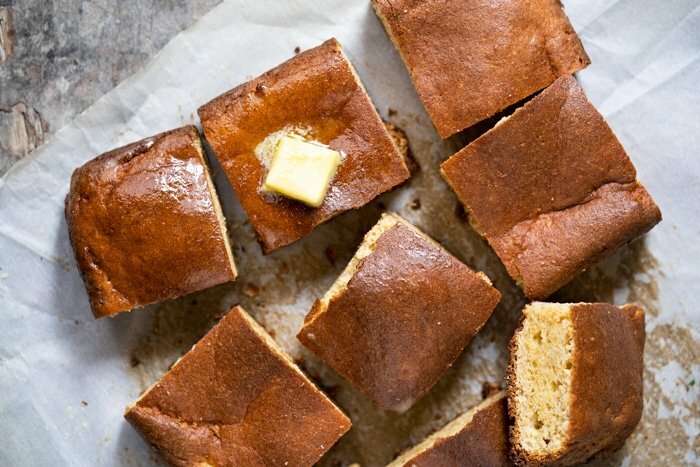 Ah, and don’t forget the keto ‘cornbread’! Truly heartwarming and packing a big (big!) 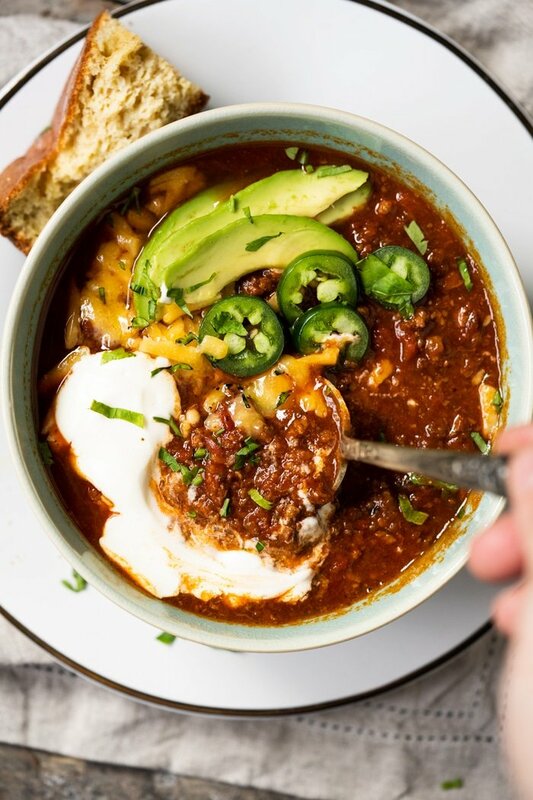 flavor punch, this paleo and keto chili is bound to have you swooning! Plus, it's truly ideal for meal prepping away. 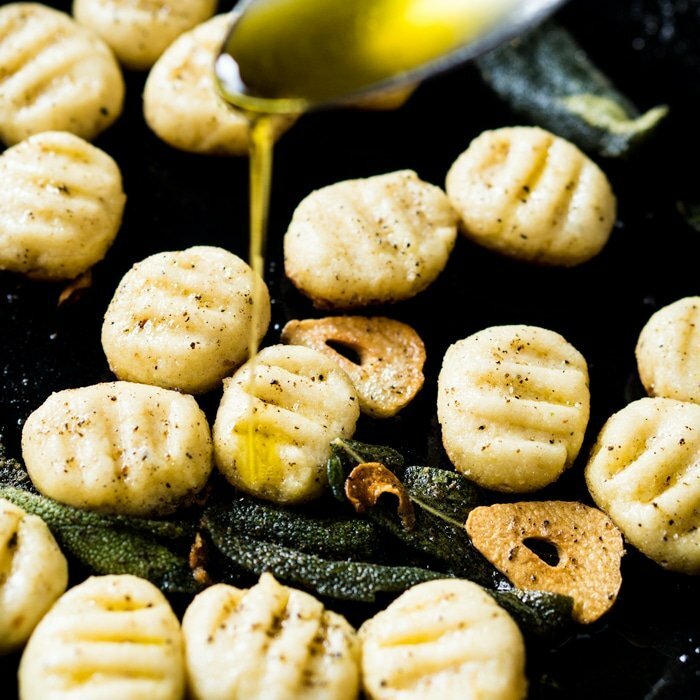 Heat up olive oil in a dutch oven or large pot over medium/high heat. Add garlic and onion, and cook until it just begins to brown (about 8 minutes). Lower heat to medium, add ground beef, cloves and a large pinch of salt. Cook until it begins to brown, stirring every so often (5 to 7 minutes). Add in all the spices and cook for a couple more minutes until fragrant. Some peeps enjoy their chili spicier, others strong on cumin, etc... so feel free to adjust the spices slowly as the chili cooks (the fun part!). Add tomatoes and continue to cook over medium heat until it begins to simmer. Lower the heat to low and continue to cook for 15 minutes, stirring every so often. Add in the beef broth, beer (optional) and coffee (optional). Continue to cook for 3 to 8 hours. Adding 1/4 cup water (or broth) at a time, as needed. Remember that the longer you cook it, the more flavor it gets! 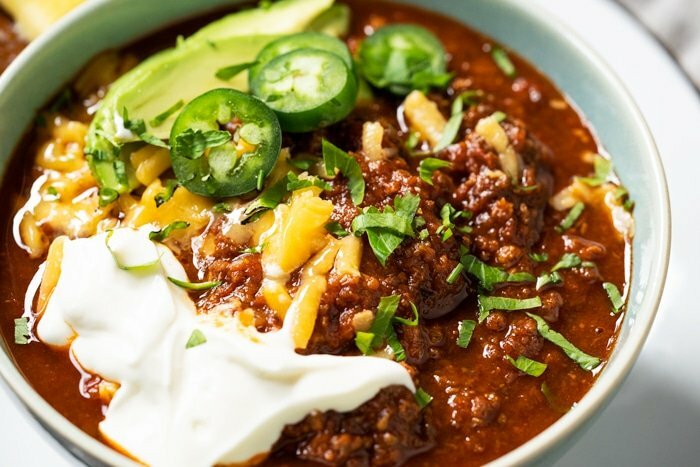 Allow your chili to rest for 10 minutes prior to serving with your favorite toppings. *Chili spices can vary a lot in taste (and preference!). Buying a ready-made chili powder mix is a good place to start. But do feel free to play around with the individual spices to your liking (think chili, oregano, cumin, coriander, paprika, chipotle... you could even add some chili ancho!). 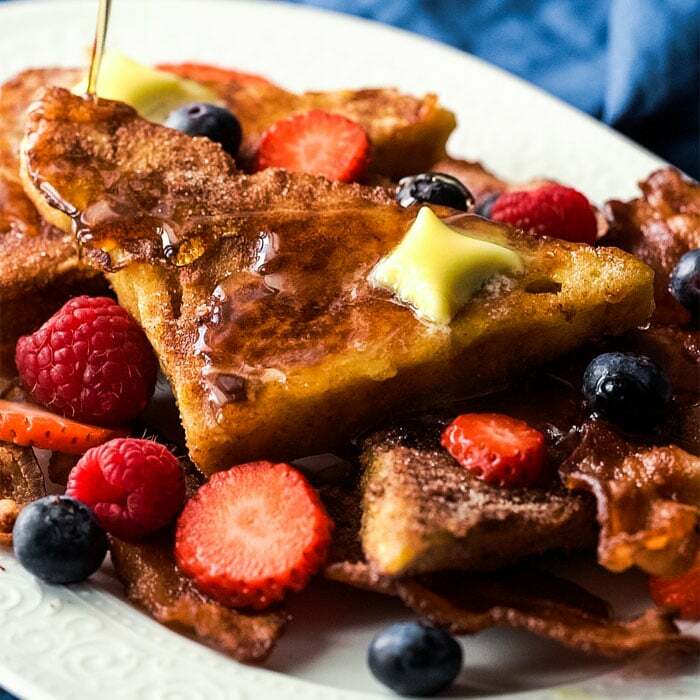 **Adding in some (gluten free, low carb) beer and coffee add a bunch of flavor. But totally optional, and your chili will still be magnificent without them! Please note that nutrition facts were estimated per serving (assuming a yield of 6). When I input this recipe into my carb manager it says its 7 net carbs and thats after I took the beer and cornbread off.